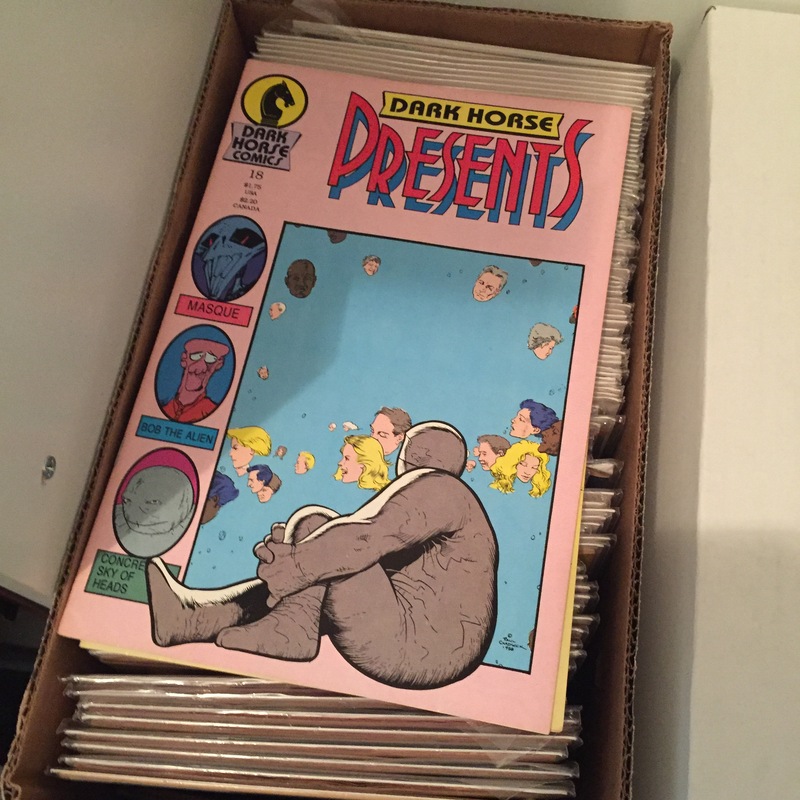 Our (formerly) weekly review of Dark Horse Presents volumes 17, 18, and 19. It’s been a hot minute since I read and reviewed Dark Horse Presents but I’m wanting to get back to my favorite comic book anthology! I’m reviewing three issues today to jumpstart the return of this feature. Volume 17 features Roachmill by Rich Hedden and Tom McWeeny and in my eyes is a wasted issue. A cheesy Punisher style satire. I don’t have much that is positive to say about this issue. I find most of these attempts at dark comedic satires to be uninteresting. Bob The Alien by Rich Rice makes its debut! And this is one story I always find enjoyable. The art has the feel of skipping pencils and going straight to inks. The concept of seeing the world through the eyes of an alien is worthwhile. The points made are subtle and the overall effect is enjoyable. Masque by Mark Badger is unfortunately continued in this volume. I’ve given up reading this mess of a story. 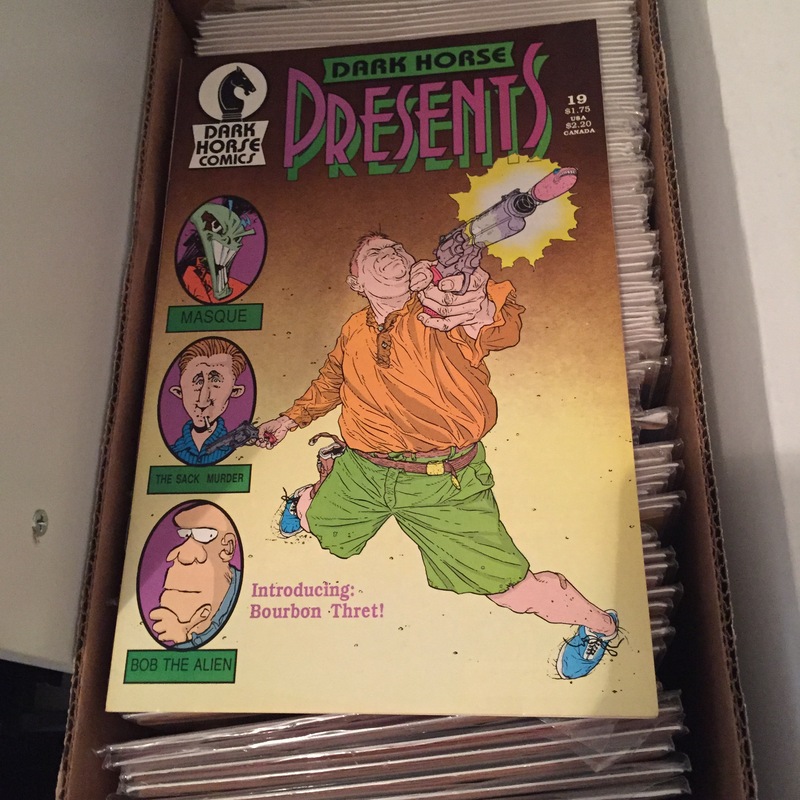 Volume 19 features Geof Darrow!! Saed is a neat little SciFi that showcases Geof Darrow’s art. Story is very little, but Darrow’s art is always so detailed and engaging so that makes up for the simplicity of the story. Bob The Alien by Rich Rice continues as Bob again miscommunicates his way through the city! Masque by Mark Badger unfortunately ends with the worse sort of threat a bad story can end with: To be continued…. 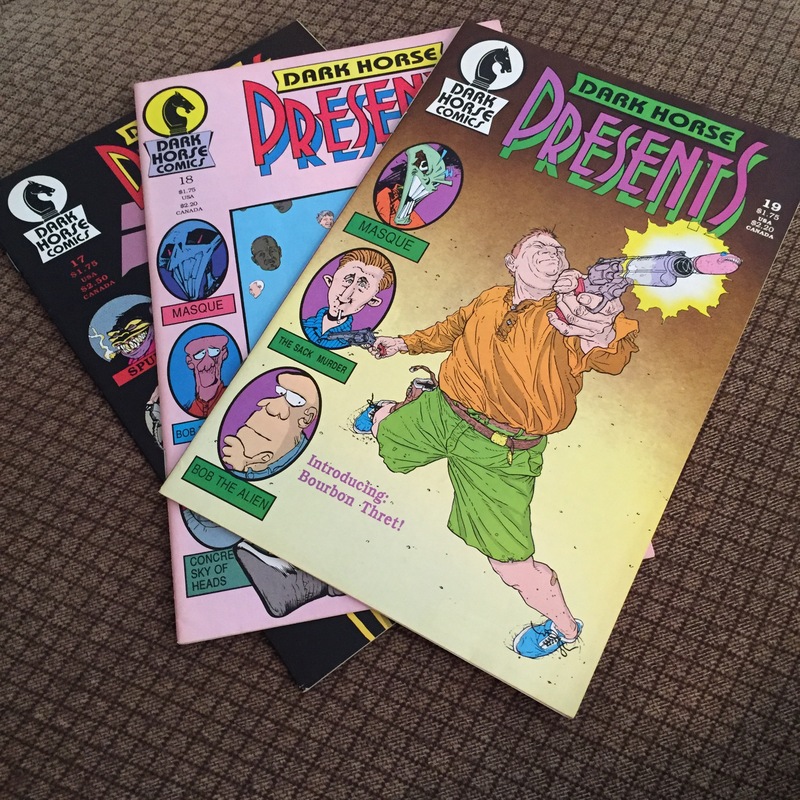 Rick Geary brings his strange stories and eye catching artwork to Dark Horse Presents with The Sack Murder. Geary always presents a strange and unique story and always makes you think. 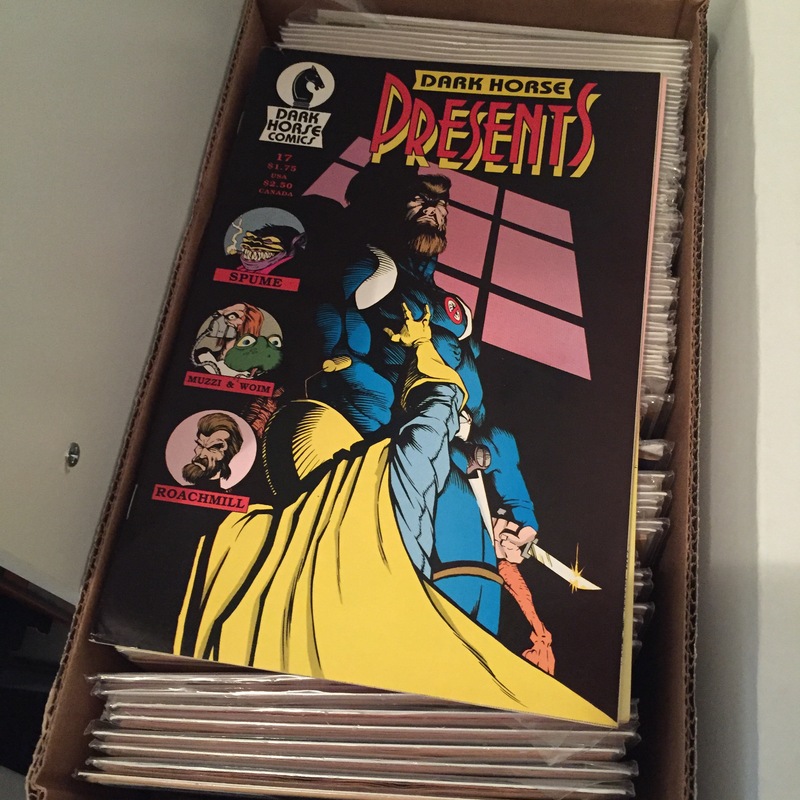 Next week we’ll look at the twentieth issue of Dark Horse Presents, and hopefully get back to making this a weekly feature! This entry was posted in Book Reviews, Dark Horse Presents, Uncategorized and tagged DarkHorsePresents on September 9, 2016 by redstarreviews.